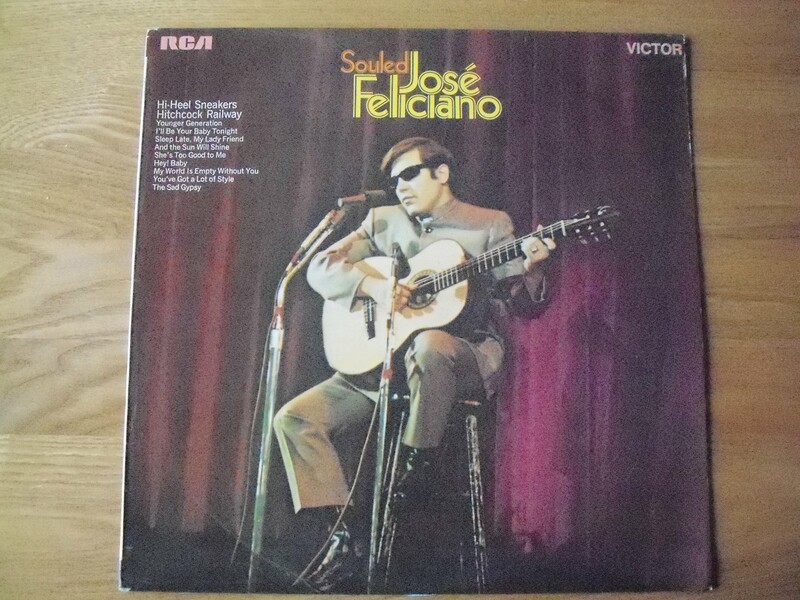 Souled was Feliciano’s fifth LP, released as a companion piece to, er, Feliciano! in late 1968. It’s a stirring collection of tracks (no original material) all performed in his soulful troubadour style. Younger Generation is an introspective beginning which perfectly encapsulates the turbulent era. It’s followed by a delightful Dylan cover – I’ll Be Your Baby Tonight – before a stunning interpretation of the Bee Gees’ baroque masterpiece And The Sun Will Shine. Those on the hunt for beatin’ rhythms check out the groovy side two opener and closer – Hitchcock Railway and Hi-Heel Sneakers.